Oil Conditioner is rated 5.0 out of 5 by 2. 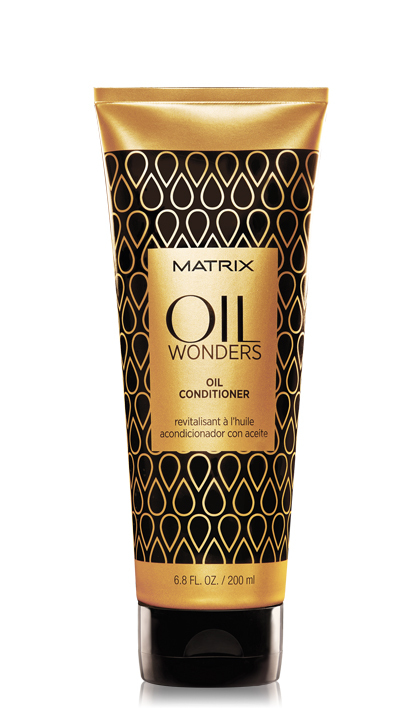 Share https://www.matrix.com/oil-wonders/products/oil-care-collection/oil-conditioner Oil Conditionerhttps://www.matrix.com/~/media/new media library/product listing/filter options/product types/haircare/oilwonders/oilwonders_oilconditioner_ow-c.jpg Conditioning (with argan oil) while restoring manageability for touchable softness and shine. Conditioning (with argan oil) while restoring manageability for touchable softness and shine. Rated 5 out of 5 by Donothave from This product is AMAZING! I have thigh length, fine hair. This is the best conditioner I have ever used. I cannot recommend it highly enough! Rated 5 out of 5 by kristiepaige from Super Soft! I was given a sample from my salon and I immediately had to Fb message her how amazing it is! I have golden coloured hair that is rather limp but this conditioner left my hair so SO silky smooth but weightless unlike anything I had ever tried. I can't recommend this enough! The shampoo was harder for me to get used to as it doesn't lather as much as other ones I have used previously but that that makes the hair feel lighter and fresher. LOVE BOTH!